Anaphalis neelgerriana DC and Cnicus wallichi DC belonging to the family Asteraceae (Compositae) are important medicinal plants indigenous to Nilgiris. Since the related species Anaphalis morrisonicola and Cnicus benedictus were reported for its anti cancer activities, the above mentioned plants were screened for In vitro antioxidant activity. In vitro antioxidant studies were carried out by DPPH, Nitric oxide and Hydrogen peroxide methods for the aerial part extracts of the plants. Different extracts were obtained from the aerial parts of the whole plant by successive solvent extraction and cold maceration process and subjected for In vitro antioxidant activity studies. Among the extracts tested, the ethyl acetate extract of Anaphalis neelgerriana DC and Cnicus wallchi DC showed significant anti oxidant activity in all the above methods. The potent ethyl acetate extract should be tested for anti oxidant activity in animal models. Different market samples of Ashoka (Saraca indica Linn) were analyzed to screen the genuinity of the samples available in the market in the name of Ashoka. All the samples were subjected for Pharmacognostic and Phytochemical analysis and found that all the samples were derived from the different botanical sources. Alkaloids, tannins, saponins, steroid, terpenoid, flavonoids, phenolic compounds and cardie glycoside distribution in five medicinal plants belonging to different families were assessed and compared. The medicinal plants investigated were Asteracantha longifolia (L.) Nees, Psassiflora edulis Sims, Berberis tinctoria Lesch, Sphaeranthus indicus Linn, and Solanum trilobatum Linn. All the plants were found to contain Phenols, Cardiac glycosides, Steroids, Saponins and Tannin except for the absence of flavonoids and Terpenoids in A. longifolia (L.) Nees and Alkaloids in, P edulis Sims, A.longifolia (L.) Nees, B. tinctoria Lesch and S. indicus Linn. respectively. The significance of the plants in traditional medicine and the importance of the distribution of these chemical constituents were discussed with respect to the role of these plants in ethnomedicine in India. With increasing demand in the field of herbal medicines and cosmetics, it has become necessary and pertinent to probe into the area of systematic knowledge about herbal drugs. There is a need for the application of this knowledge in authentification, detailed study and practical utilization of crude drugs. The present paper deals with the taxonomy, anatomy, powder study pertaining to organoleptic, microscopic, fluorescence, physical constant evaluations and phytochemical screening of Origanum vulgare L.
Dandruff called Huzaz/Abria in Unani medicine is a common ailment in the world with easy options of treatment. Most of the treatment options have ignored the cosmetic aspect of hair. Unani medicine has got a vast array of drug formulation to evaluate the efficacy of Unani pharmacopoeal formulation in mild form of seborrhic dermatitis of scalp (dandruff). Its efficacy was compared with standard drug (2% ketakonazole shampoo). Patients were enrolled after ethical clearance and informed consent in the study. 30 patients were treated with Unani formulation and 20 patients with the standard drug. The assessment of various parameters like Itching, Scalp shedding, Erythema, Hair frizz, Hair combing ease, and Hair smoothness was made before and after 30 days. The assessments of the parameters were analyzed and compared using appropriate statistical tests. The study revealed that Unani formulation was equally effective as standard drug and the hair comesis was better than the standard drug as seen clinically, but was not statistically significant (p=0.576). The present study aimed at evaluating the antibacterial activity of methanol extract of Ruta chalapensis, L., (Rutaceae), Quercus infectoria Oliver., (Fagaceae) and Canthium parviflorum Lam., (Rubiaceae) against Staphylococcus aureus, Pseudomonas aeruginosa, Enterococcus faecalis, Klebsiella oxytocoa, Klebsiella pneumoniae and Proteus mirabilis. The experiment was carried out using disc diffusion method. The results revealed that the methanol extract of aerial parts of Ruta chalepensis (L) presented the highest zone of inhibition against tested pathogens. Other plants showed significant zone of inhibition. The Snehana (internal oleation) is a major preparatory procedure to be performed before Sodhana (purification). The entire procedure of Sodhana (purification), depends upon the proper mobilization of humors (Doshas) from the periphery (Säkhä ) which is to be achieved with the help of Snehana (Oleation) and Svedana (Sudation therapy). Currently physicians practice purificatory internal oleation (Shodhanartha Abhyantara Snehana) by their methods depending upon individual experience and expertise. If Snehana (internal oleation) is not done properly, it definitely affects the Sodhana Karma (purificatory Therapy) afterwards and also chances of complications such as hyperlipidaemia .Hence, it is obligatory to start and increase the dose of Sneha (lipids) in appropriate & judicious way considering the Digestive fire (Agni) & nature of bowel habit (Koshtha) of the subject. There is a fear in the medical fraternity and the patients that oral intake of lipids may lead to an increase in the biochemical parameters especially the lipids. So in order to remove this misconception, here an attempt is made to critically review in the light of classical references and modern research findings. The present study reveals the Ethno Botanical studies on uses of medicinal plants in Kailasagiri forest range of Chittoor district, Andhra Pradesh. Role of these studies in rural and forest economies is immense. Tribal people of this area have authentic information on medicinal values of different plant parts like leaves, fruits, flowers, seeds, stem bark, tubers and roots. They have been using these parts in the form of paste, powder, juice, decoction, infusion and also in crude form, with other additives like ghee, sesame oil and goat milk, to relieve from different ailments. The present study brought to the light the immense hidden knowledge of Tribal people towards medicinal plants. 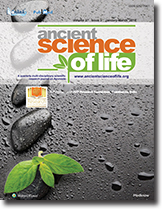 Present study discloses the ethnic practices of 52 species belonging to 37 families to relieve different ailments like Skin diseases, Jaundice, Rheumatism, Burning micturation, Fevers, Intestinal worms, Menstrual problems ,Cough, Diarrhea, Head-ache, Cold, Diabetes, Tooth-ache, Asthma, Ear-ache, Eye diseases, Dandruff, Stomach-ache, Insomnia, Indigestion , Piles, Constipation, Cuts, wounds ,Abscesses, Sexual problems, Fractures, Galactagogue, Leprosy and Antidotes, Hair tonics, Abortificients, anti Abortifacients, Lice eradicators and Nasal drops. The study was carried out to assess the lipid profile levels in diabetic infertile women as diabetes is often associated with infertility. 90 patients in the age limit 20- 40 years. One half diabetic and the other half non-diabetic presenting with a complaint of infertility were evaluated at the G. Kuppusamy Naidu Memorial Hospital, Coimbatore, Tamil Nadu, India. There was a significant increase in the triglycerides and VLDL(Very Low Density Lipid) cholesterol levels in diabetic infertile women when compared to non diabetic infertile women and hence this shows that assessment of Lipo protein levels is of much diagnostic importance and also one among the main criteria for establishing female infertility and diabetes is one of the main contributing factor which may cause fatal disorders like Cardio vascular diseases and Coronary artery diseases due to the vicious cycle caused by the combined vascular abnormalities associated with diabetes. .Keywords: infertility, triglycerides.